Two years ago Carlos Cipa impressed on the piano with The Monarch and the Viceroy. The darker version of Olafur Arnalds presents his second album All Your Life | You Walk. Not one, not two but three steps forward with the addition of several instruments he realized a new highlight in the genre. The creative mind starts the album as always with dark piano songs. The first highlight is ‘Hang on to your Lights’ where drama sets the theme, halfway with a beautiful melody hope is turning back on earth. Six Fragments are woven in between nine mostly piano tracks. With his creative mind Cipa has made a lot of experimental sounds using strange instruments such a Glockenspiel, Oceanharp, percussion instruments and an old radio receiver. The first two interludes keep the record bright so you won’t drench in the dramatic piano tunes. Afterwards he’s taking you into deeper territories. In ‘Needle in a Doll’ connected with ‘Fragment #3’, ‘A Broken Light For Every Heart’ and ‘Fragment #4’ he slows down his piano work as bands like Earth or Amenra do. With reverb in between the piano playing and with the monotonous playing he creates a transcendental state mostly achieved by artists in the ambient scene. The experimental sounds in the fragments are fluently connected with the long piano songs. Distracted as listener you really ‘Step Out of Time’ as the next song is called. Ironically (on purpose?) I went back in time as this song has a great melody line to connect again to real life. The greatest thing on this record is the dynamics, Cipa is daring you to the maximum with the experiments (he is also using the inside of the piano to create sounds) and atmosphere but he is dynamically also smart to return with a plain simple piano tone to not let the listener sinking in the swamp. 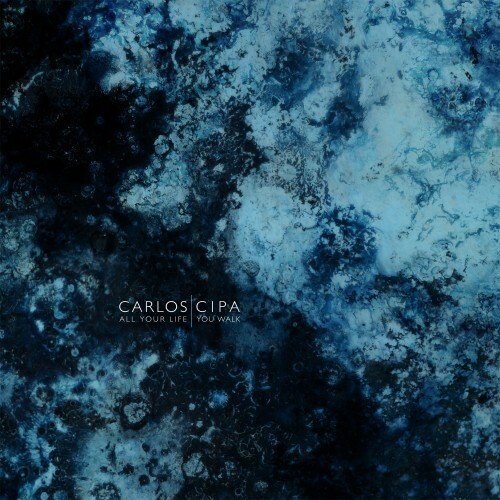 All your Life | You Walk has pushed the boundaries of the neo classical piano forward and Carlos Cipa succeeded with the genius album. Let’s find out now how he proceeds with his live shows and new work in the future!